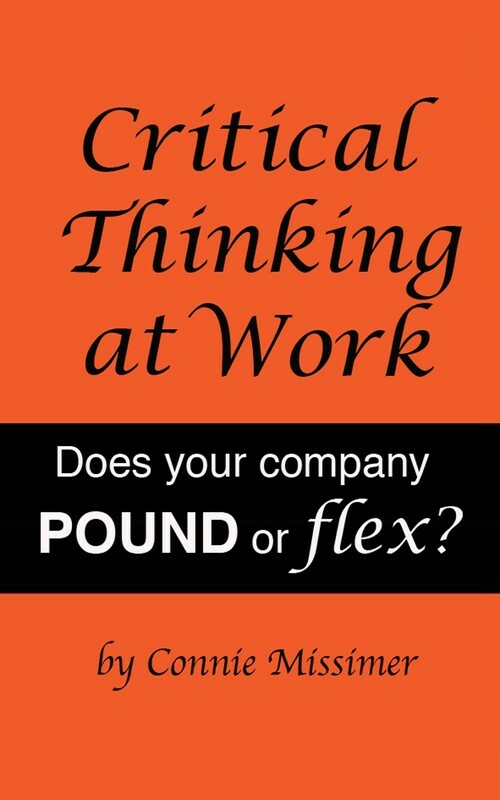 An in-depth look at the POUND and FLEX philosophies as well as offering supportive evidence for my case that companies, even highly successful ones, are still not reaping the profits and achieving the level of worker happiness they could. "Based on a wealth of experience and with a completely original perspective, Connie Missimer has developed a model that businesses need to adopt to succeed in today and tomorrow’s workplace and marketplace." "Connie Missimer’s book comes along at the right time, not just providing another formula for becoming a better leader but demonstrating the importance of restructuring the workplace based on proven scientific data, to turn us all into leaders."